We invite you to explore our directory of members to find and identify Canadian emerging managers. We have a diverse pool of innovative and high-performance investment strategies that are yours to discover! 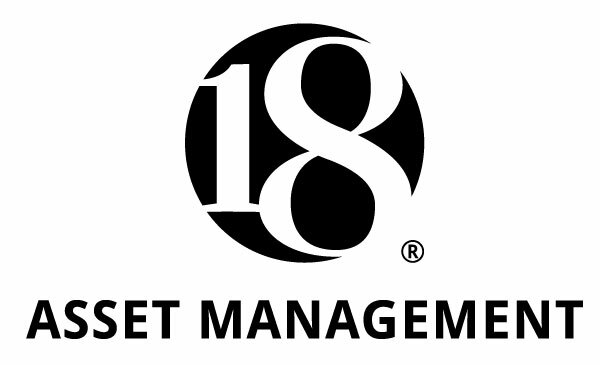 18 Asset Management Inc. : At 18 AM, we are focused on security selection, portfolio management, risk management and customer service. Action valeur ajoutée inc. : Action valeur ajoutée (AVA) is an independent portfolio management firm specializing in Canadian equities and has expertise that is based on sound fundamental analysis and understanding of global issues. AFINA Capital Management Inc. : AFINA Capital Management Inc. We believe in transparency and lower fees. Agilith Capital Inc : Agilith North American Diversified Fund offers Canadian investors a diversification tool to the resource‐heavy TSX. algotrading.ai : Algotrading,ai is an early-stage asset manager that uses artificial intelligence techniques, machine learning algorithms to provide tailored investment strategies. Alitis Asset Management : Alitis Investment Counsel is a Vancouver Island based boutique asset manager. 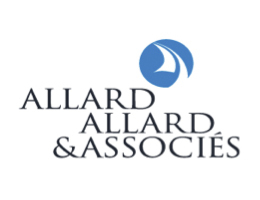 Alllard, Allard & Associés : emerging as a strong up-and-coming investment management firm in Quebec. Altervest : Fondé en 2010, Altervest exerce son expertise dans les stratégies de placements alternatifs. L'objectif est d'offrir des produits de haute qualité axés sur la préservation du capital tout en maintenant des rendements attrayants. Basée à Montréal, notre firme de gestion de placements espère contribuer au développement du talent des gestionnaires d'ici. Aventine Asset Management : Aventine Asset Management is a partner-owned investment management firm with a focus on capital preservation and long term growth. BARRAGE CAPITAL INC. : Barrage Capital was founded in 2013 by four partners with a shared passion for value investing, an approach first taught at Columbia University in New York in the late 1920s. BT Global Growth Fund : The firm is long biased but spends most of its time looking for short/hedging opportunities. Caldoun Capital : Caldoun Capital is a value-oriented investment firm that approaches investing in shares of a business the same way a private owner would approach owning the entire business. Cape Cove : Registered Portfolio Manager with sole focus on alternative investment in the Foreign Exchange market. 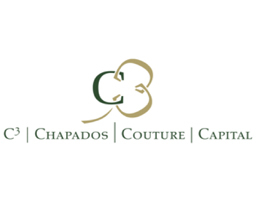 Chapados, Couture, Capital : C3 is a quantitative manager of traditional and alternative equity-based or option-based investment strategies. Constance Financial Inc. : Constance Financial Inc.
Cortland Credit Group Inc. : An IFM and PM, specializing in direct financing of short term senior private debt. Cote 100 : offers objective, individualized portfolio management services. Crystalline Management Inc. : Crystalline is a Montreal based privately held asset management firm. CSW Investment Services Inc. : CSW Investment Services Inc.
CTI Capital : CTI is a full service investment dealer. CTI Capital Securities : CTI was formed in 1987, a period of rapid change in the financial markets worldwide. Donville Kent Asset Management Inc. : Donville Kent Asset Management is a highly specialized asset management firm that manages investments on behalf of individual investors as well as select institutions. Through the application of our focused investment strategy, we search for companies that possess high levels of return on equity, reasonable valuations and positive share price momentum. EdgeHill Partners : ehp FUNDS manages 3 rules-based, highly liquid, long/short funds. Evovest : Evovest is an investment management firm that integrates artificial intelligence (AI) into its investment processes. FNB Capital : FNB Capital Asset Management (FNB Capital) is an investment management firm that differentiates itself by the exclusive use of exchange-traded funds to construct its portfolios. Formula Growth : an independent boutique investment advisor based in Montreal. Formula Growth Ltd. : Please visit our "Firm" page on our website: https://www. Forstrong Global Asset Management Inc. : Forstrong Global Asset Management Inc.
Galliant Advisors LP : Galliant Advisors LP is a Montreal-based investment management firm offering investment solutions for a growing client base of high-net worth individuals and institutions. Gestion de Portefeuille Landry : Landry Investment Management Inc.
Gestion Privée Phoenix S.A. : Phoenix Private Wealth management is dedicated to serve professionnals and retirees. Giverny Capital : a registered money management firm that offers private wealth management services. Global Alpha Capital : focused exclusively on global and international small cap portfolio management. 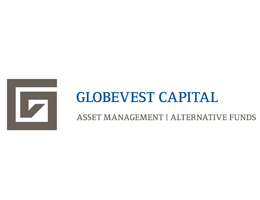 Globevest Capital : Globevest Capital is a risk and portfolio management firm offering an innovative unlevered alternative investment strategy based on equity options. Goldenwise Capital Management Inc. : Goldenwise Capital Management Inc. Goldenwise is registered in Canada with the OSC as a Portfolio Manager and Commodity Trading Manager, in US with the Commodity Futures Trading Commission (CFTC) as a CTA, and is a member of the NFA. GreensKeeper Asset Management Inc. : We are value managers and invest in equities in shareholder-friendly jurisdictions (primarily North America and western Europe). (the “Value Fund”), a conviction portfolio of our best ideas. HARRIS, BOLDUC & ASSOCIÉS INC. : Harris, Bolduc & Associates is an independent portfolio and wealth management firm. IBV Capital Ltd : In 2014, IBV Capital evolved from an established Family Office to become an investment management firm. Idema Investments : Offers personalized, low cost and globally diversified ETF portfolios for long-term investors. Investment Partners Fund : The Investment Partners Fund is an independent money management firm based in Ottawa with clients across Canada. 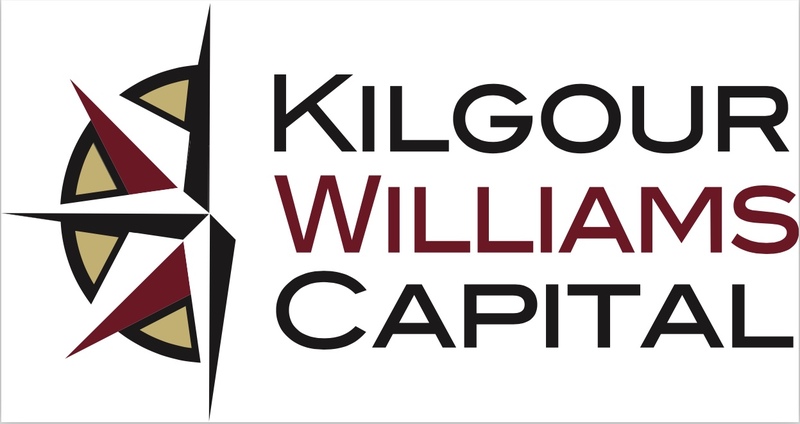 Kilgour Williams Capital : Founded in 2007, Kilgour Williams Capital is an asset management boutique with an explicit focus on private credit. 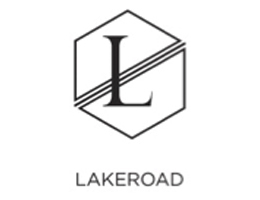 Lakeroad : focused on institutional clients as well as family offices and high net-worth individuals. Lightwater Partners Ltd. : Lightwater is a Long Short Equity hedge fund Manager that focusses on Canadian mid-cap names that are uncrowded or under-followed by the market. LionGuard Capital Management Inc. : Focused on capital preservation, limiting assets under management and being first and foremost a research organization. Logos LP : Logos LP is a leading private fund focused on generating superior long-term absolute returns by applying an interdisciplinary outlook to traditional value investing. Lorne Steinberg Wealth Management Inc. : Lorne Steinberg Wealth Management is an independent investment firm that provides discretionary management services for private clients and institutional investors. Our approach to investing is securely founded on a deep value-based philosophy – we are stubbornly focused on only buying quality businesses whose prices are compellingly cheap. Lysander Funds : Due to the noise and expense of financial product marketing, smaller boutique and independent investment managers do not enjoy the same access to the network of Investment Advisors and sales support as large firms. Lysander Funds provides actively managed investment solutions from innovative, experienced and independent managers. Majestic Asset Management : Canadian leader specialized in the management of exchange traded derivative products. Marigold Capital : Marigold focuses on early stage, resilient and growing North American companies that drive positive financial, operational and social prosperity outcomes for employees, actors in their value and supply chains, users, clients and customers, communities, and its investors. The firm is one of Canada’s leading impact investors and blended finance practitioners. Mount Murray Investment Inc. : Mount Murray Investment is a new investment management firm based in Canada. NorthStream Capital Inc. : NorthStream Capital is an independent, alternative investment management firm focused on North American event-driven credit opportunities. Nymbus Capital : Nymbus is a Montreal-based investment manager specializing in fixed-income and alternative investments that uses quantitative and systematic methodology to manage the assets of institutional and private clients. Olos Capital : focused on individual companies rather than trends in the economy or securities market. OPENMIND INVESTMENTS INC. : OpenMind Capital is a high conviction fundamental value-based portfolio manager. Palos Wealth Management Inc. : Palos provides discretionary wealth management to individuals and institutions. Perseus Capital : a multi-strategy investment manager with a macro-economic approach. Plant-E Corp : By participating in Canada’s and the US’ electricity markets, the firm profits off of the commodity’s volatility and creates a liquid, uncorrelated product that can lead to high returns. Q Capital Management Ltd : Pierre Villeneuve, founder of Q Capital and co-founder of Mapleridge, has reunited the essential Mapleridge team to create a leading quantitative alternative investment firm. Quadra Capital Partners : Since 2015 Quadra Capital offers award winning investment solutions tailored for institutional and qualified private clients. Quadra Capital’s founding partners are investment professionals with significant experience across the spectrum of alternative investments and traditional asset management. Quantius : Quantius is a commercial lender that attributes value to the tangible and intangible assets of innovative companies providing non-dilutive financing to small and medium sized companies, a segment which has been under-served by banks due to inflexible underwriting requirements and inability to assess borrower’s future potential. ReSolve Asset Management : ReSolve Asset Management delivers Liquid Alternative Strategies through ETF Managed Portfolio Solutions focused on global asset allocation. Rivemont Investments : Offer private wealth management services to individuals and families in both Quebec and Ontario. Robson Capital Management Inc. : Robson Capital Management Inc: Robson, through its RBS/Connect fund platform, enables private alternative investment vehicles easy marketing access to IIROC dealers and brokers. Ross Smith Asset Management ULC : Ross Smith is a Calgary based hedge fund with an objective to grow capital with a focus on low volatility, managing two multi-strategy hedge funds. Spartan Fund Management Inc. : Spartan is a Toronto-based investment managemer that specializes in boutique alternative investment strategies. Spartan's infrastructure, which adheres to institutional standards with independent risk management and compliance, and well-known service providers, provides investors with the comfort that their money is being managed to the same standard as larger funds. Sui Generis Investment Partners : is an absolute return investment fund that combines intensive research driven stock selection with a disciplined and robust risk management program. Tactex Asset Management : Tactex Asset Management (“Tactex”) provides a wealth management infrastructure platform dedicated to Canadian emerging portfolio managers looking to create and manage their own investment strategy. TAHO Capital Management, Inc. : We are technology and finance professionals obsessed with financial innovation. YTM Capital Asset Management : YTM Capital is a privately held company founded in 2010 by Daniel Child. The EMB welcomes new members. To apply for membership, we invite you to complete the Membership Application Form.